The cold (or at least cool) weather is upon us. That means it’s time for two things that ELV swears off of during the hot weather months: red wine and soup. And there’s no better place in town for a big, steaming bowl of Mexican meatball soup, chock full of oregano-redolent meatballs, than El Sombrero. The tomato-y, noodle-y fideo is almost as good, if not as meaty, and the fresh-made, smoky red chile salsa remains as stunningly intense as ever. As does the big, beautiful flan. Those soups cost $10 and are really enough for two, but you won’t want to share. Congrats to El Sombrero for the coverage in last week’s R-J…even though the story centered upon how long time eateries are struggling to survive. 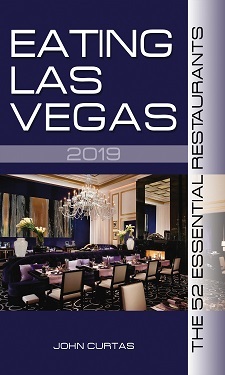 It’s a fair bet chef/owner Jose Aragon won’t be weathering this economic storm forever (and after 40 years at the stoves, who can blame him), so get to Las Vegas’s oldest restaurant while the gettin’ is good. The BEST Mexican restaurant in town! When Jose retires, I will just wither on the vine. His soups, his menudo, his authentic dishes … I highly recommend this wonderful restaurant and wish he could clone it in HENDERSON ! Yes, Henderson/Green Valley, where we DO have some of the best eating places in the city and they are not Strip prices.